“It’s not only a movie we’re making," producer Eduardo Rocha says. "It’s a message to the country"
Heneral Luna, a feature film that dramatizes the story of revolutionary war hero General Antonio Luna, arrived in theaters in September 2015. It started off slow at the box office, initially reflecting local audiences’ perceived aversion towards historical movies. It almost disappeared in theaters after its first week, with many theater owners opting to replace it with the latest Hollywood blockbuster. But word-of-mouth soon spread about the film, with many critics praising it not just for its narrative and technical excellence, but for its message of nationalism and love of country. Heneral Luna, which had a budget of about Php80 million, ended up making over Php240 million. 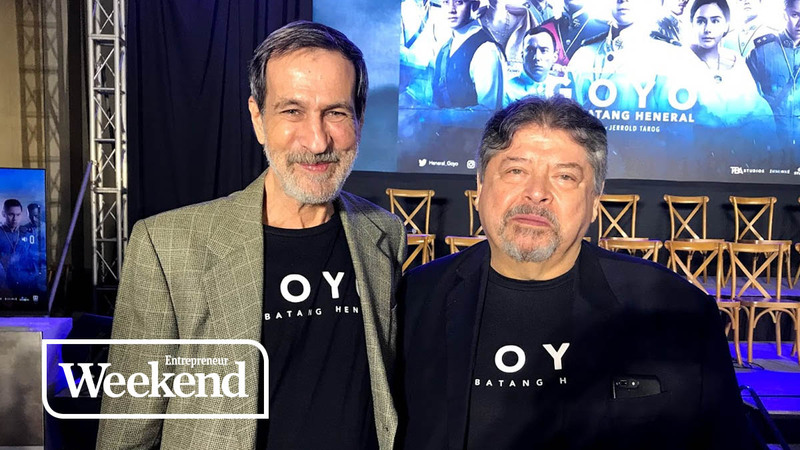 Rocha and his producing partner Fernando Ortigas were at the press conference for Goyo, Ang Batang Heneral, the sequel to Heneral Luna, on Thursday, August 23. Both films were directed by Jerrold Tarog. Ortigas and Rocha are part of the movement of independent Filipino cinema that is putting a premium on quality films rather than formulaic big studio pictures. While Rocha is a veteran of the entertainment business—having starred in such acclaimed classic films as Ganito Kami Noon, Paano Kayo Ngayon, Bayaning Third World and Virgin Forest—Ortigas says he got into film production quite late in his life. Ortigas founded Tuko Film Productions in 2013 while Rocha had his own entertainment company called Buchi Boy Entertainment. After linking up with Tarog’s Artikulo Uno, the three companies rebranded and became TBA studios. They are joined by a third partner, Vincent Nebrida. “I was in the family business, which was shipping and airlines, but I only dabbled in the arts,” Rocha said. “But I’ve always loved it. I wrote Heneral Luna in 1997, with Henry Francia.” Tarog, who had expressed interest in developing a Luna biopic of his own, heard about Rocha’s script and asked if he could use it. The rest is filmmaking history. Although fairly new in the local entertainment business, TBA Studios has already racked up an impressive list of films, many of which have gone on to receive numerous industry awards, including the documentary Sunday Beauty Queen, I’m Drunk I Love You, Bliss, and Smaller and Smaller Circles. The production outfit is also behind passion projects like Bonifacio: Ang Unang Pangulo, K’na The Dreamweaver, Tandem, Patintero: Ang Alamat ni Meng Petalo, Water Lemon, Iisa, Matangtubig and Gayuma. Despite the extremely fickle nature of the showbiz industry and the rapidly changing viewing habits of theater audiences, Ortigas and Rocha are committed to the business and said they’re confident that audiences will respond to the product they put out. While the producers were ecstatic about the success of Heneral Luna, they knew the second movie in a planned trilogy would be much bigger. Goyo necessitated recreating a late 1800s town in Tarlac plus location shoots in Bataan, Rizal, Batangas and Ilocos in a span of eight months, plus an additional year spent in pre-production. The price tag for the movie is well above Heneral Luna’s Php80 million and, according to the producers, even over Php100 million. “Put it this way,” Rocha said. “We had double the shooting days, we have a bigger cast, over 2,000 people on set. We’re talking quite a bit more than Php100 million. Perhaps it was divine intervention that led to TBA joining forces with Globe Telecom for Goyo. The Ayala-owned company has been expanding its portfolio well beyond telecommunications services in recent years. Its partnership with TBA Films for Goyo marks its second such involvement in film production. According to Rocha, the company invested in the project and owns 25 percent of the film. 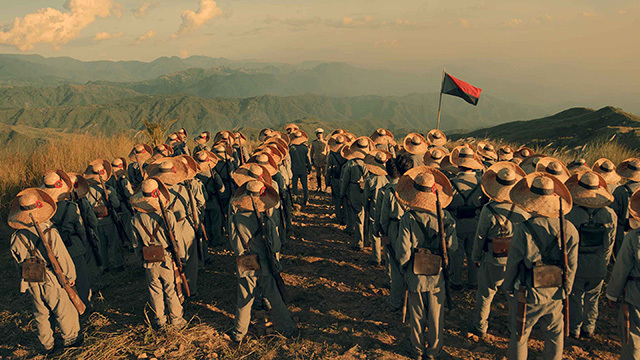 Goyo arrives in cinemas on September 5, almost three years to the day since Heneral Luna’s own opening. 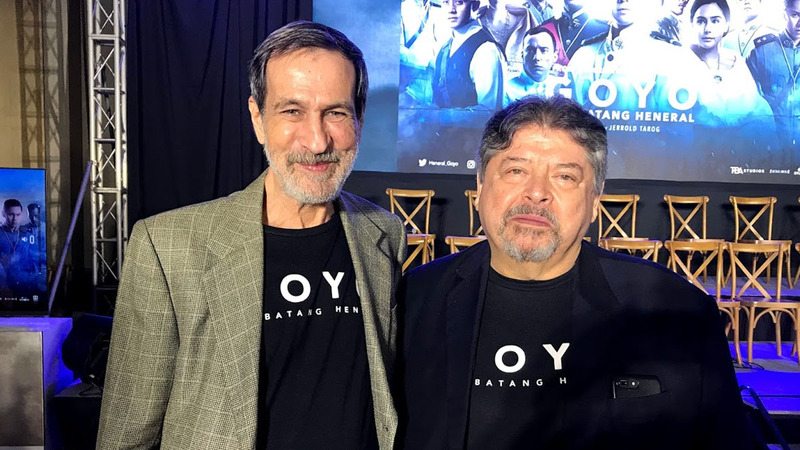 Ortigas and Rocha both have high hopes for the film, not only as producers looking to recoup their investment, but more so because the film continues the legacy of quality, thought-provoking cinema about our nation’s history that Heneral Luna started. “It’s not only a movie we’re making, it’s a message to the country,” Rocha said. After this, TBA already has a full slate of films in development, including one that they hope to release in October. And of course, there’s the third film in the Luna series, this time focusing on former President Manuel L. Quezon. The producers said Tarog is already working to develop the project and should come out within the next three years. So great is their commitment to see the trilogy through that they won’t even wait to see how well Goyo does at the box office before officially greenlighting the project. 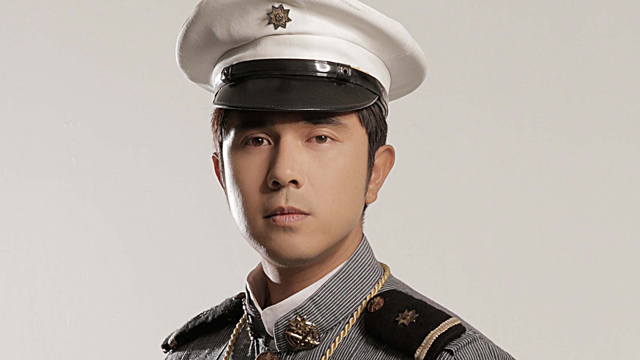 Ortigas said he is particularly looking forward to making this film because of his own family’s ties to Quezon’s story. Asked why they keep making movies, both said they would like to leave something behind for future generations of Filipinos. “My family comes from the real estate side of Ortigas. My grandfather is known for Ortigas Avenue. My father is known for Franciso F. Ortigas Street. And I figure, I don’t want a street named after me. I’d rather have a big hit, which I think would be more ‘immortalizing’ than having a street named after you. So I said, if I can get a good picture and tag my name as an executive producer, it will last forever. I would rather see that than a Fernando Ortigas street.